The top achievers understand that all deals are not equal. A disciplined approach to opportunity management will help you to win more and win bigger. There are not enough hours in the day to chase and win every deal. Chasing deals you won’t win will increase your cost of sale. You are missing opportunities to win, cross and up sell. Not only do many sales people believe that all business is GOOD, they believe ALL business is WINNABLE. This misguided belief will typically not provide the best return on effort. Time is a scarce resource for under pressure sales teams. In situations where you have multiple leads and opportunities to progress it becomes even more critical that you choose how to use your time. Often there are not enough hours in the working day to go after every deal. Especially, not enough to engage with clients in a high quality way so you win the deals you choose. It is a fact that you can expend as much effort losing an opportunity as you do winning one. In situations where you need to convince the buyer that your ‘not-so-great-fit-solution’ will work for them, the sales effort can be increased throughout protracted discussions. This is especially true for “multiple visits” sales campaigns that extend the sales cycle over many weeks, months or in some cases years. Going after these deals takes a great deal of time and can be reflected in a higher cost of sale for your business. It is easy for people to confuse compliance (can we do what is necessary?) with differentiation (will we be successful and win the deal?). Discipline in the management of opportunities will help you to focus resources (and costs) on winnable deals not just ones you can do. With typically 225 working days in a year you can assess how much one of your sales resources costs per day but as an example £50,000 is over £220 per day. This is a high tangible cost to the business but also you need to consider the associated opportunity cost from the lost contribution of deals not pursued. When recruiting a salesperson some key traits managers look for include an optimistic, positive and tenacious approach. We expect them to make every effort to hit their targets rather than every effort chasing lost causes. For some sales professionals, it is possible that emotion takes over in ‘the heat of battle’ and this can result in an overoptimistic assessment of win probabilities. Some take the slightest glimmer of hope as a positive buying signal and chase deals that will either not happen (pipeline slippage) or where they have little chance of success (lost). Winnable deals are lost when insufficient time is spent engaging the client through the buying process. Opportunities to add more value through cross/up selling are missed as time is not invested developing the opportunity. Some opportunities that could have been won are neglected as salespeople chase their favoured deals, as a result they are lost. 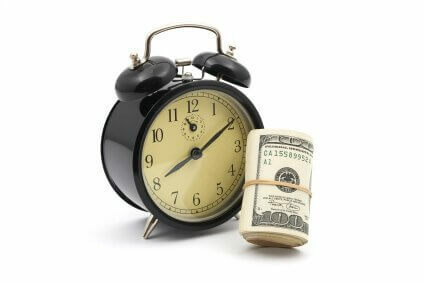 What would it mean to your business if you were able to invest more time into the deals you could win? For many it would mean they are able to invest time in delivering their playbook to win more and win bigger. This focus allows salespeople to better understand the prospects’ needs, articulate how you are the best choice and build relationships across the buying team. Whether you are asking for more information to help you win the opportunity or engaging the client in discussions where you present your value proposition, both of these require clear focus and time. If you run a sales team your confidence in the sales pipeline is critical. It is through this process that the success of you and your team is measured. For some this is instinctive, although for the best performers a disciplined approach will improve their chances of success. A colleague of mine recently likened opportunity management to Texas Hold’em Poker. In early stages of the game information is limited therefore risks are high. As more cards are revealed (or in sales opportunities more information gleaned from the prospect) the risk is reduced as a bid/no bid decision is based on greater information. Therefore greater structure in the management of opportunities will force the sales professionals to ask questions they may previously have missed, as a result increasing information and knowledge. The best sales people will always qualify rigorously where they spend their time. Where top achievers believe an opportunity is not winnable, they will allocate their time to other deals that have a greater chance of success. Ruthlessness is common in the best performers as each salesperson has a finite amount of time in which top hit their number. Use it wisely and disciplined qualification will help you go after deals you can win. A structured opportunity management process between the sales managers and the salesperson will improve the level of objectivity on the opportunity. This will provide a clear approach that sales leaders can use to coach performance in sales teams. Additionally it will help the salesperson to understand clearly what is expected of them in opportunity reviews. Contact Outside In sales and marketing for further information.